We haven't had much activity at our feeder. But caught this duo at just the right moment. 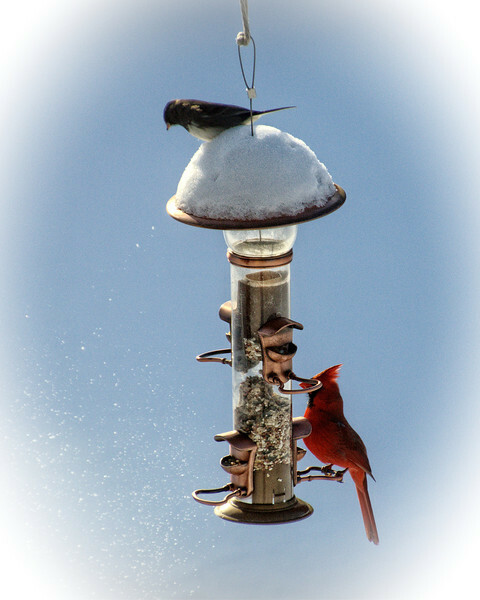 I love how the little bird is flicking the snow off the feeder.